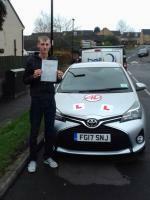 I would just like to thank Chris for all that he has done all the hard work and patience in helping me pass. Great guy to work with made sure I understood everything and a great guy to have a laugh with especially in the times when your nervous. 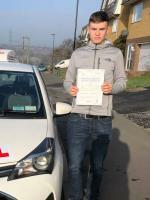 I would highly recommend Chris to anyone looking to start driving. I can't thank Chris enough for helping me pass one word comes to mind about this guy which is legend! Thank you Chris for everything and all the patience you have given me. 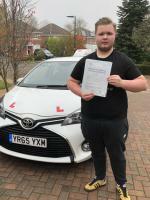 Good Evening, I would just like to take the time to thank Chris for all his hard work and patience in helping me pass my driving test. He's a credit to your team and is an extremely nice guy, nothing was ever too much whenever I had any queries he always made sure I fully understood. 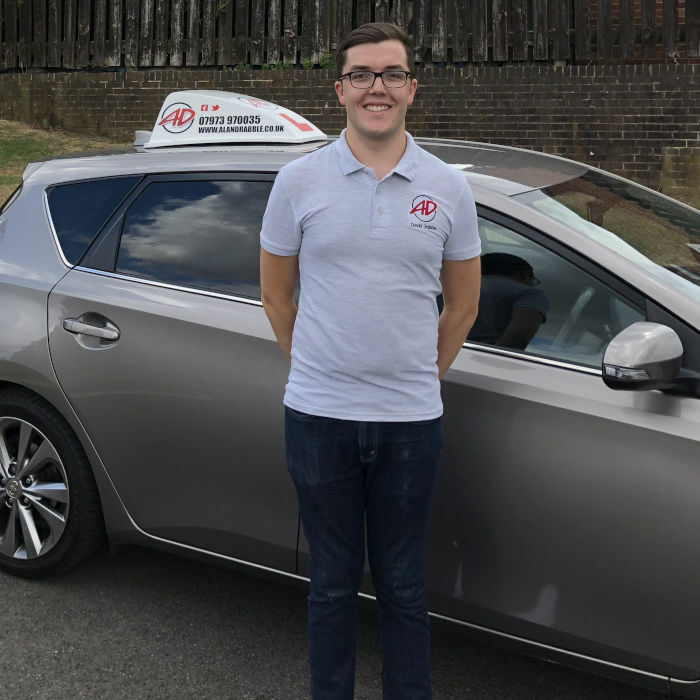 He really is 10/10 and does a fantastic job, easy to talk to too and I would highly recommend him to anyone who asked me about a driving instructor! 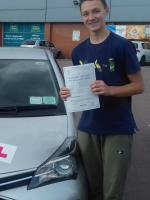 So thanks Chris for all the hard work and helping me pass! It's been a pleasure to have had Chris as my instructor. His patience, kindness and calm nature have played a big part in ensuring I pass. He's truly driven to see you succeed and will do whatever is needed to acheive that goal. 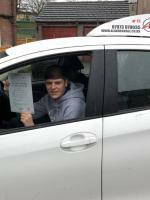 I'd like to thank him for all he has done and recommend him to anyone seeking an instructor. Thanks again. Robert Crofts. 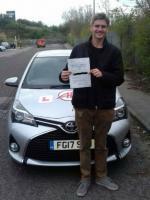 Passed first time thanks to Chris who was a pleasure to have as an instructor. He was always patient with me and punctual to every lesson. I would highly recommend Chris as an instructor to anyone who would like to learn how to drive. 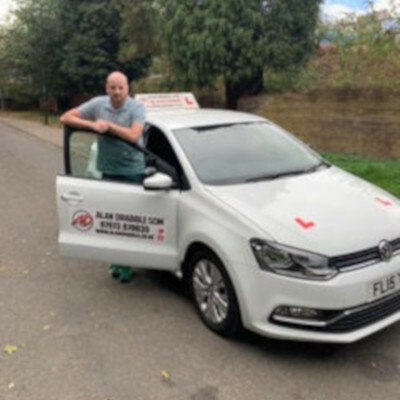 Learning to drive with Alan Drabble was a great experience. 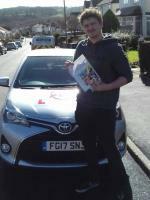 The lessons were planned out efficiently and got me through my test with flying colours. My driving instructor was great. He explained and talked me through anything I didn't understand. 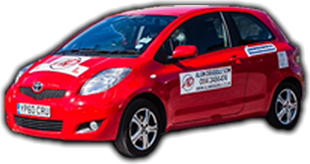 They are a fantastic company to learn to drive with and help you through every step of the way! What a great instructor! Always positive and patient. 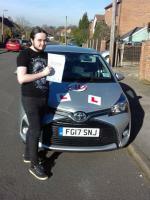 Had a good chuckle each lesson and was happy to go with my 'scientific' approach to driving. 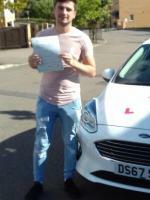 I couldn't have passed first time if he hadn't. Thank you!! 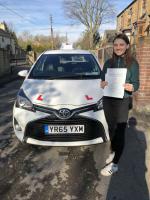 First time pass thanks to David! Couldn't have done it without him, enabled me to learn at my own pace and he was so patient with me! 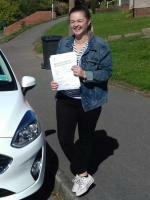 Last week I had 2 x 2 hour refresher driving lessons with Carmen Andradas. 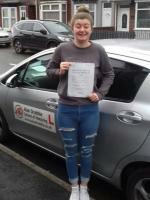 Both lessons were extremely helpful and successful in terms of getting me back into driving, 4 years after passing my driving test. 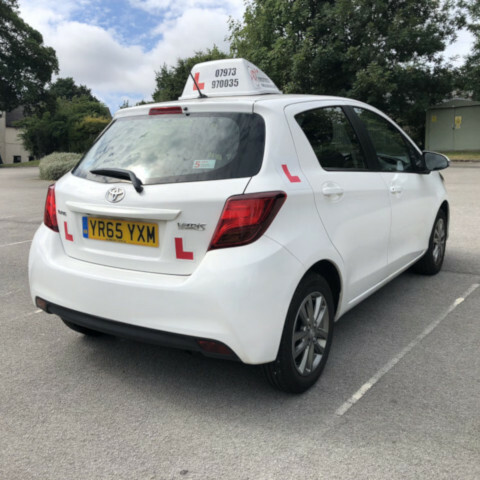 In the first lesson I covered all different road types, and all speed limits and then in the second lesson I covered motorway driving and accessing the service stations. 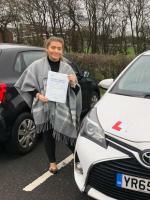 Carmen was excellent as an instructor, making me feel completely at ease when I was driving and giving me advice/feedback as and when required. I would thoroughly recommend both Carmen and the refresher lessons. I came to Carmen kind of half-knowing that I had basic driving skills down and just needed a bit of a push to get me through my test. 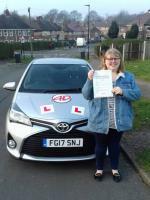 She was really good: friendly, easy to get on with, patient and no-nonsense so that I learnt quickly over an fairly intensive set of lessons. Would definitely recommend her. Thanks. 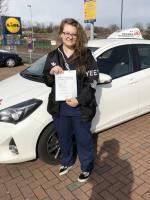 Alan drabble was a excellent choice,had a fabulous instructor carmen.learnt me to drive very well and built my convidence up to pass my test.was exstremley patient and dedicated to getting u through your test.got 100% support all way through my lessons and even get a great app to help pass the theory test.I passed my test January 2015 never look back.I would say I'm a excellent confident driver.having your independence and your own car is the best feeling ever and owe it all to carmen.anyone wanting to take lessons would highly recommend carmen. I met Alan at a networking event, and really wanted to learn to drive but as a 39 yr old had a fear that stemmed back to being 17. Alan coaxed me to take the plunge and quickly assessed which Driver would be best suited to me and he was absolutely spot on! 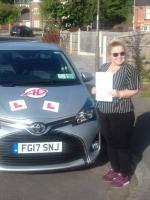 Carmen was amazing and put me at ease, whilst pushing me further and further each week. It's almost like having a driving coach then an instructor. 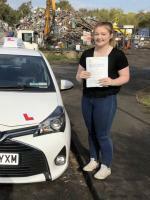 I have now passed my test and I am unbelievably happy about it. It has changed my business and my life. I will never ever be able to thank Carmen and Alan enough for helping me conquer a deep seated fear of driving. 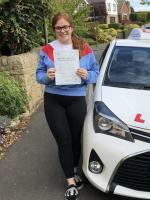 Just passed my test first time, after learning to drive with Carmen. 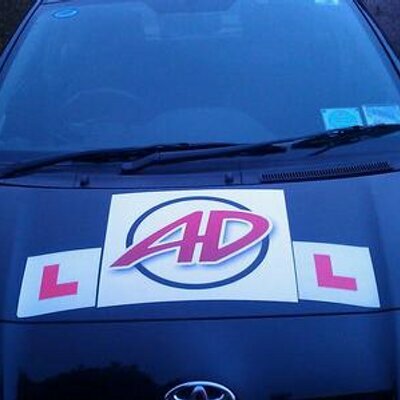 Brilliant instructor from a great driving school. I learnt everything I needed to in a space of time that was comfortable for me, as well as having fun and enjoying my lessons. 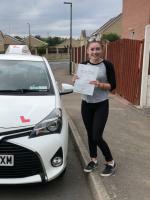 Absolutely loved learning to drive with Carmen, and would highly recommend her to anyone!! 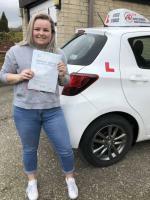 Having just passed my driving test, I can honestly say that Alan Drabble’s SOM is the best option for anyone looking to get started with driving! 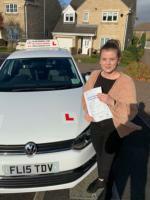 If you’re looking for a friendly, patient and reliable driving instructor, I would really recommend getting in touch with the school asap!! 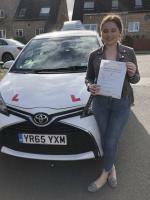 I would love especially to say a massive thanks to Carmen for her tuition – her patient, calm and friendly personality helped to transform me from a driving novice to a safe and confident qualified driver! Thanks for all your patience and encouragement along the way!! 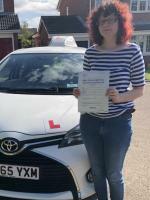 I started driving lessons in May with another driving school and all they did was mess me about. 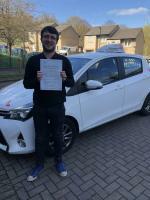 I changed after about 2 month to Alan Drabble SOM and passed within 10 weeks first time, Ian taught me calmly and was very patient with me haha. 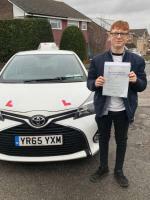 I’m so happy I changed and passed as soon as I did, thanks again Ian, recommended him to all my friends currently turning 17, learn to drive and see the world! Ian is the best and I would recommend to any one!